And it was a proud team that stepped off the ice late Friday after a 5-3 victory over Denmark’s Madeleine Dupont, leaving skip Chelsea Carey, vice-skip Sarah Wilkes, second Dana Ferguson, lead Rachel Brown, alternate Jill Officer, team coach Dan Carey and national coach Elaine Dagg-Jackson with a 6-6 record — tied for the final playoff position, but leaving them on the outside looking in following the tiebreaker procedure (tiebreaker games aren’t played at the world championships). On the whole, a disappointing result, admitted Chelsea Carey — but at the same time, there were many positives that could be gleaned from the past week in Denmark. They did that against the host Danes, who finished with a 3-9 record. 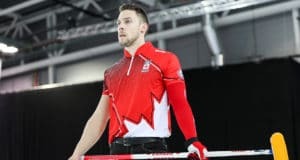 Canada opened up a 5-1 lead with three in the sixth end, which is when Officer entered the game in place of Ferguson to finish it off. It was an inconsistent week on the ice, but filled with opportunities that will benefit the team in the long haul, said Wilkes. “We learned a lot of things, for sure,” she said. 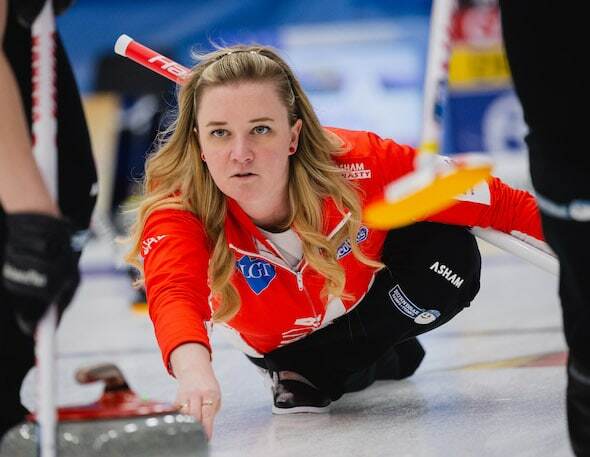 “It’s a very long week — a similar number of games to the Scotties, but it’s so different. Wearing the Maple Leaf is such an honour but it’s heavy, too. So we know how that feels and it’s a learning opportunity for the future. Everyone tells you about it, but until you feel it, you don’t really know. And even if the end result wasn’t the one Carey desired, the experience is one she’ll not forget soon. The playoffs in Silkeborg will kick off on Saturday at 4 a.m. (all times Eastern), with Russia’s Alena Kovaleva (9-3) playing Japan, and Switzerland’s Silvana Tirinzoni (8-4) playing China’s Jie Mei (7-5). Sweden’s Anna Hasselborg (11-1), who topped the round-robin standings, will play the lowest-ranked winner of the first-round games at 2 p.m. Saturday in one semifinal, while second-place Minji Kim of South Korea (9-3) will play the higher-ranked winner in the other semi at 9 a.m. The semifinal losers will play for bronze Sunday at 5 a.m., with the gold-medal game set for 11 a.m. 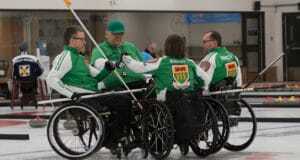 The 2019 Pioneer Hi-Bred World Men’s Curling Championship, presented by Service Experts Heating, Air Conditioning and Plumbing, begins Saturday in Lethbridge, Alta. 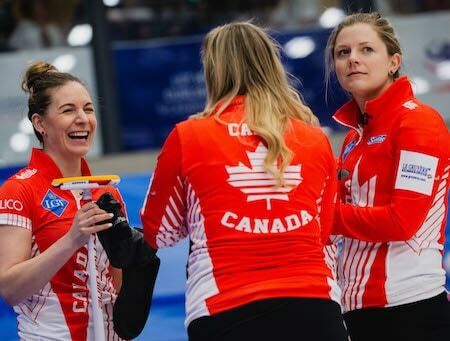 The 2020 World Women’s Curling Championship will be played March 14-22 in Prince George, B.C.